Discussion in 'Government Announcements' started by BusinessCraft, Nov 7, 2018. 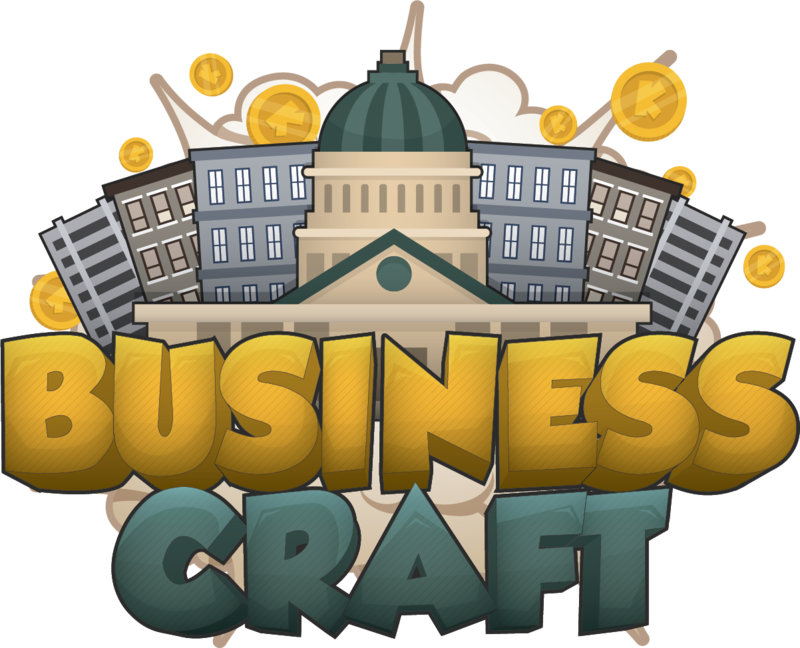 The Government of BusinessCraft is divided into three branches: the Legislative (Parliament), the Executive (Cabinet) and the Judicial (Court). It's important to note that the Government and the Server Staff are completely different and both have different tasks and responsibilities. The Parliament is consisted of 7 elected members referred to as Members of Parliament (commonly abbreviated to MPs) for a two month term. This is the most powerful and influential server institution and is responsible for the creation, as well as the modification and removal of all server laws. Members of Parliament start motions in the Parliamentary forum category after heavy debates on the private discord channels. These motions are then finalized and turned into bills which are then voted on. A bill needs at least 4 votes in favor to pass. The bill is then sent to the Prime Minister for evaluation. The Parliament approves or rejects players nominated by the Prime Minister for Ministerial and Judicial positions. It also has the power to dismiss incumbent Ministers and Judges by a vote of no confidence. After a concluded election, the MPs elect a player to be the Speaker of the Parliament, who is responsible for chairing Parliamentary meetings and maintaining order, as well as forwarding the passed bills to the Prime Minister. The Speaker is usually the one to announce a new Act of Parliament and officially add the new law into the Server Rules and Laws document. If an MP is punished for breaking a law whilst in office, they can be removed from Parliament early by the Speaker with the consent of the majority of Parliament. Should an MP resign or get removed from office early, they will be replaced by any player nominated by the Speaker and approved by the rest of Parliament. The nominee is, by convention, a player with the biggest amount of votes who had lost in the election. All MPs are obligated to post at least one motion during their term. Failure to do so will disallow the MP to run for re-election immediately. The Cabinet is consisted of all Ministers who collectively enforce all laws and run all government departments and thus the server. The Prime Minister (commonly abbreviated to PM) is the head of government and the chairman of the cabinet. All members of cabinet are appointed and dismissed by the Prime Minister. He calls for Cabinet meetings and adjourns them, and has the final say on all cabinet matters. The Prime Minister is vested with veto power and is able to prevent certain legislation to be made by Parliament. The Prime Minister also has the ability to issue Executive Orders and propose new legislation to Parliament (although he cannot vote on the legislation himself). The Prime Minister currently isn't an elected position. The Deputy Prime Minister is the assistant and primary counselor to the Prime Minister. In the event that the Prime Minister goes MIA (Missing in Action) or is unable to be online for more than a week, the Deputy Prime Minister becomes the Acting Prime Minister and assumes all responsibilities and powers of the Prime Minister. The Deputy Prime Minister usually holds another Ministerial rank (e.g. the Minister of Public Affairs is also the Deputy Prime Minister). Ministers are members of cabinet, and each is also a head of a different government department. They run government departments and implement decisions on policies in conjunction with the Cabinet. They appoint and dismiss members of their respective departments. Ministers are nominated by the Prime Minister and approved by the Parliament. They serve at the pleasure of the Prime Minister and can also be removed from office should they fail to receive and retain confidence from the Parliament. Some Ministers may not have a portfolio (meaning they do not head a particular department) and are known as Ministers without portfolio (or more commonly as Advisers). These players usually specialize in a certain field and offer assistance to the Cabinet. The full title for Ministers is "Minister of _____". Example: Minister of Public Affairs (aka Public Affairs Minister) is the Minister responsible for the Department of Public Affairs. Department of Construction and Transportation (DoC): Responsible for the construction of government approved buildings and the highway. The Department also finds locations for new cities and towns. All Constructors are a part of this department. Department of Justice (DoJ): Responsible for maintaining peace and order of the server by enforcing laws. The Department of Justice also offers a security detail to senior government officials, such as the Prime Minister. Police Officers are a part of this department. Department of Commerce and Education (DoCE): Responsible for the economy, businesses, citizen employment, and education aspect of the server. The department is consisted of various secretaries (such as the Business Secretary, Education Secretary, and Commerce Secretaries) and their assistants who oversee different sections of the department. Department of Public Affairs (DoPA): Responsible for hosting server events, community feedback (polls, surveys), election debates, social media, transparency publications, and city relations. The department is consisted of Event Planners and Community Coordinators. Department of Health (DoH): Responsible for helping players with diseases and making sure the hospital is functional and stocked. The department also makes sure all other cities have functioning hospitals with working pharmacies. All Doctors and Hospital Secretaries are a part of the department. Department of Agriculture (DoA): Responsible for maintaining the cleanliness of the wilderness, in addition to managing the dog shelter and grocery store, as well as animal cruelty reports. Environment Managers work in the department. The Court is consisted of up to 3 Judges nominated by the Prime Minister and approved by the Parliament. The Judges are responsible for answering and dealing with lawsuits created by players in the Courthouse forum. These lawsuits range from suing other players for murder to suing other companies for fraud or wrongful dismissal. In case a lawsuit has been created against a Judge, the case will be presided over by the Speaker of the Parliament. Judges can also be dismissed should they fail to retain confidence in the Parliament.